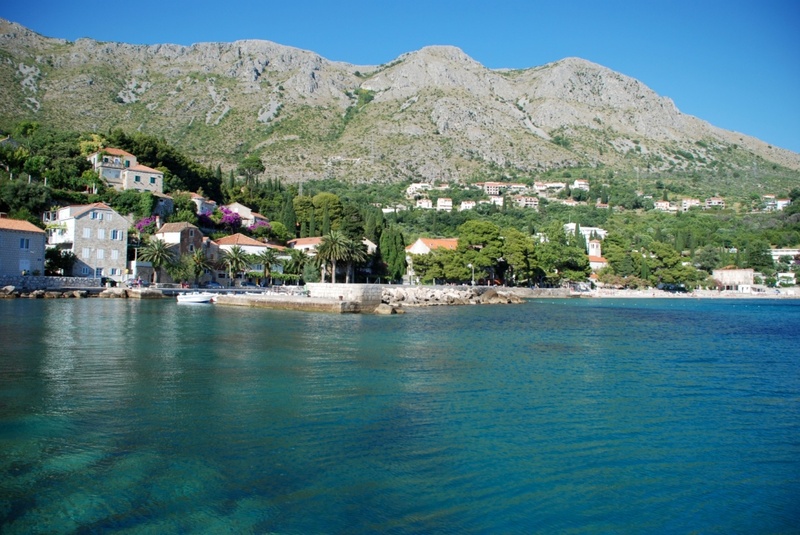 Mlini is a small, idyllic fishing settlement located halfway between Dubrovnik and Cavtat. With its intact beauty, rich vegetation and stunning beaches as well as its historical and cultural heritage dating back to the ancient times Mlini repeatedly enchants the tourists as well as the locals. Mlini is an oasis of sorts, with its numerous wellsprings of fresh drinking water. So, If you are in search of a quiet little place to rest your body and ease your mind while enjoying the sunny weather and beautiful beaches; Mlini might be just the place for you. Although rather close to Dubrovnik (approximately 10 km distance), Mlini is far enough to provide the kind of intimate isolation that is sometimes much needed after a tiresome working year in crowded and foggy cities. Mlini is well connected with Dubrovnik through regular bus lines. You can catch a bus to and from Mlini every half an hour. Bus fare is approximately 1,5 euros. There are also regular boat lines connecting Mlini with surrounding islands. There are various organized excursions to the nearby destinations. Once you arrive at Mlini, you can seek accommodation in one of its hotels or private apartments. The hotels are offering a wide range of entertainment and recreational activities. But the main assets of Mlini are its beautiful, natural beaches with clear blue sea, surrounded by rich and fragrant Mediterranean vegetation. There is even one sandy beach and a beach for nudists reachable by boat. If you are interested in sightseeing and learning more about the local culture and history, Mlini has a lot to offer. Monumental remnants of the antique Greek and Roman settlements found in the area surrounding Mlini are worth knowing more about. Mlini lies between the numerous fresh water wellsprings that used to power flour mills in the past. That is how Mlini, “the mills” in translation, got its name. Those mills are no longer in function, but they make a lovely sight for photography lovers as well as the charming duck flocks inhabiting the fast currents. Although Mlini hasn’t got a rich palette of nightlife events, there are several bars and restaurants for a more relaxed, low-key night out. But in case you are seeking a wider range of nightlife options, there is always Dubrovnik, only a few minutes away by car or by bus. Find information about selected Hotels, apartments and rooms in Mlini to choose the perfect place for your accommodation.